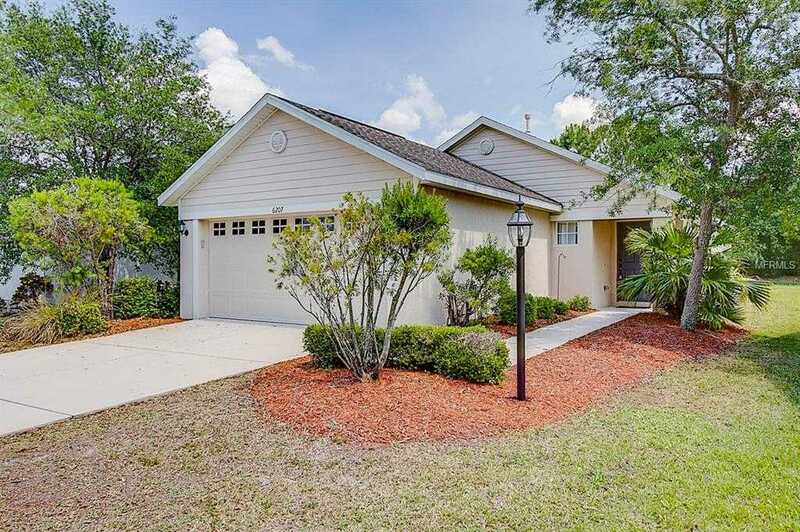 Fall in love with this 3 bed 2 bath Lakewood Ranch home located in Greenbrook Village! The home features a great open floor plan with large windows, vaulted ceilings and glass slider accessing the covered patio. The living room opens to the eat-in kitchen with wood cabinets, recessed lighting and built in pantry. Off of the kitchen you will step into the master suite with more large windows, an over-sized walk-in closet , and a private ensuite bathroom with large garden tub and separate standing shower. Off the living room you will find the additional full bathroom, 2 bedrooms, separate laundry room with access to the attached 2 car garage. Relax on summer nights out on your private covered back patio with no house behind you. The driveway has additional room for vehicles to park when you are entertaining. The home is located on a quiet cul de sac walking distance to Greenbrook Park, Gilbert W. McNeal Elementary, R. Dan Nolan Middle Schools, and the family oriented Premier Sports Campus is just across SR 70 with lots of sports fields & sporting events. You don’t want to let this home pass you by! Restrictions: Per HOA, Keeping of more than two pets, (cats and/or dogs) per household is Strictly Prohibited. Please verify all pet restrictions with the HOA. Please, send me more information on this property: MLS# T3167093 – $255,000 – 6207 Blackdrum Ct, Lakewood Ranch, FL 34202. I would like to schedule a showing appointment for this property: MLS# T3167093 – $255,000 – 6207 Blackdrum Ct, Lakewood Ranch, FL 34202.